At the first day of April, I opened The Bleeding Scroll. It was yet another attempt to open a blog of my own. It was supposed to replace my Facebook as a public diary, and to a certain degree, it did. I almost completely stopped using it (a blessed change...), but almost nothing from the original idea survived when I look on this blog, today. 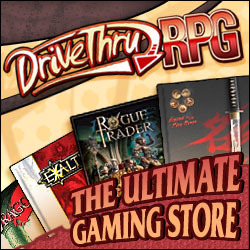 It became, quite early to say the least, a blog about RPGs. Sure, it had (and still has) its heavy dose of movies, but it became more of a place to post about lessons from them than as a place to talk about them. I touched music only once, and my thoughts disappeared from the blog quite quickly also. It's still a collection of thoughts, but not of the type that I intended for. My posting frequency rose up, the focus on RPGs rose also, and before I knew it, it was an RPG blog. I tried to make it different, bringing in a focus on horror, waving in a focus on lessons from movies and from improvisation, but it was still an RPG theory blog first, and only then the rest. I don't think it's a bad thing, actually. It's an organic transition, and as such it's a good one. It's a way to stay tuned on RPGs even when I'm not GMing at the moment, even when I'm taking a short break. The blog started to take a bigger place in my time, using a bigger share of my energy, and I think that it deserves it. From a leading writer for a big Israeli site, I came to be the writer of a nice little blog. There's a lot of freedom that comes with this transition. Today, with this post, The Bleeding Scroll reaches a landmark: 100 posts. It took me a far shorter amount of time than I expected, in 88 days actually, but I think that overall, almost all of the posts are there for a reason. Sure, my first ones weren't that great, and I went through a lot of crap, but I improved overall, and I think that it shows. My first favourite is from April's bog carnival. I joined in late, but it was part of it. It's more of a personal achievement than a perfect post (although I believe that it's a great post). 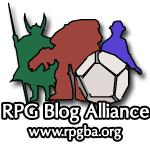 It was, after all, my first post after joining the RPG Blog Alliance, and was my most popular post for a long time. Another one is my second Fiasco session recap uploaded. It was a great session to play within, and I think that it was the first time that I could really say: Wow! I've just played Fiasco and used it to the peak of my abilities." I think that it shows. The post about game history is another favourite. When I look at this post, I can't stop thinking that this is the point where I really understood what freedom I have here. Until then, I was quite conventional, but from this point, I started to explore the possibilities of blogging. The post about how to open a game is another one. I think that it's one of the best examples for what I strived for when I said lessons from movies. It's a discussion about how the movie Frankenstein is opened, what does it achieve with this way of opening, and how can we use it in a game. My favourite of all time is of course the post about how the soundtrack affected my GMing. It's a personal post, and I think that it's one of the easiest ways to know what my GMing style is, and to where I'm striving with it. So, what are your thoughts about the first 100 posts? What posts did you like? What you didn't? Is there anything that you want improved?